Would you take a present of him? Like many horse lovers all over the world, I’ve been watching with regret the steady decline of the original dressage ‘Wonder Horse’, Totilas. A tiny bit of me (a VERY tiny bit. The bit that gets overruled by the rest of me every time I see the double spur-jab at the start of the video below) does feel just a tincture of sympathy for Matthias Rath, though. No matter what he ever does with this horse, he will always be compared unfavourably to Edward Gal. I will never forget the tingling in my spine the very first time I saw his record-breaking freestyle with Totilas and I don’t think any performance by Rath will ever recreate my feeling of awe that day. Like many others, I drooled over every Totilas video that was posted to YouTube. Whenever I was with my Dressage Ireland friends, Totilas always came up in conversation as we discussed his paces, his elegance, his presence, his latest performance. What got me, though, was the utter seamlessness of his downward transitions. How could he go from extended canter to collected walk, just like that? Anyway, one day, the obvious question came up. My friend tried to convince me that I could learn from him, he could be a schoolmaster, but I knew damn well I would never be ably to ride one side of him and I stuck to my guns. I was fifty years old – what the heck would I be doing on the world’s Wonder Horse? Imagine you have an incredibly wealthy relative who has been viewing your horse-career with fondness and admiration. He/she buys the world’s top horse in your favourite discipline and offers it to you – for YOU to ride and compete. This is fantasy, so we can even go back in time to and you could have an Equestrian Legend. Showjumpers, you’re being offered Milton. Maybe American riders might prefer Gem Twist? Eventing riders, you’re being offered Mark Todd’s Charisma. Or the great Lenamore. Or your favourite present-day eventer. Western riders, you might be offered the horse that currently the NRHA Open Futurity champions, Not Ruf At All, or another horse that you think is the best ever (showing my ignorance here, but I’m smart enough not to make a total fool of myself by suggesting names in a discipline I know nothing about). You’re into Endurance? Pick your favourite star horse ever. He’s yours. Carriage driving is your thing? You’re being offered the smartest four-in-hand team in the world. Do you want them? I’d love to hear what you all think. Who is your favourite horse of all time, in your preferred discipline, and would you take a present of him? Photo courtesy of Franz Venhaus via Flickr.com. Click on photo to view original. Do you mean Cass by any chace Martine? She sort of fits your description, although Id maybe choose the wording, slightly high in the wither and long in the neck over mishapen!! LOL! I wouldn’t worry about the “wasted talent” part of accepting a top horse — for the most part that is something us humans care about — the horse just wants to be a horse and feel proud of himself. He doesn’t care about the ribbons or the awards. I would not accept a top horse mainly because I am chicken. Although I wish my body worked perfectly, it does not. I am blessed with many things but good knees are not among them and it means I need to be able to get off a horse in a safe manner — not as it crow hops across arena and I’m doing an emergency or unplanned dismount. Top horses aren’t just well trained horses — they have gears I don’t plan on using or know how to properly contain into greatness. I need horse with just a few gears — and preferably in the lower range ! I much prefer to see the top horses under top riders. I appreciate what they can do and recognize its not for me. I think I might be the only person in the world who would actually say yes! 😀 It would be an amazing opportunity, a once in a lifetime chance. Yes, of course there would be negative press etc etc but why on earth would you not want to get to ride a horse that is just perfect? You’d learn SO MUCH, and then you would get to pass that knowledge onto other horses and other riders? Good gosh just imagine how it would feel to do that amazing extended canter to collected walk?! Ahh spine tingles just at the thought of it! You’re younger than most of my readers – I suspect the 25 year old me would have thought differently, too. No, I couldn’t selfishly accept any said horse and be able to do them justice after the life they were taught. Sometimes I struggle with “wasted horse talent” with the one I’ve raised, after all he’s got to put up with the likes of me. I do believe some horses are happier being challenged with performing/competing, especially when that is all they know, but in reality all horses really want – is to be a horse. Abdullah, and I’m in no way a jumper, or an eventer. And I’ve learned that greys will break your heart (mine did: cushings, melanomas, etc). But would I actually take Totillas (or ANY equine superstar)? Oh hell no. Not just because of the horse’s fame…he’s just a HORSE, after all is said and done. No, it’s the human baggage that accompanies said superstar. I, too, saw Totila’s jawdropping free style dressage at the WEG in Kentucky. But would I want him? I’d be afraid to ride him. I’d be afraid of insulting him, his reputation, his fans. It’s like the movie star/musician/etc star that we all went bananas about as teenaged, hormone crazed girls…when the guy went and got married, one felt…well, betrayed. Cheated. A bit aghast…I was here for you and you went and married…HER? HER? Yes, in our back minds, we knew he didn’t have a clue on earth who we were, but STILL…a girl can dream, can’t she? Because think of it: Totilas is what he is because of Edward Gal, as you noted. This young man Rath is already catching flak because he’s not Gal and can’t ride the horse like Gal. We want Moorlands Totilas and Gal to repeat, always repeat the same thing. They can’t have a bad day, ever. Rath can’t have something unrelated to riding on his mind, the horse needs a reminder with spurs, the horse is as subject to colic (possibly more so) as your everyday pasture ornament. We’ve forgotten that. Let’s not mention how valuable Totilas is. Would I want to have the well being of a million dollar stallion on my hands? Not in your life. A very good friend of mine raised her WKPN mare from long yearlong to adult mare. Marquee went all the way to Grand Prix in dressage. On the one and only time I ever ””’rode”” her, I was sitting on this enormously tall mare (at the time, my Jordan was a 14.3 gelding, and Marquee was, oh, by that time, 16.3) I’m merely sitting on the mare, getting used to the higher elevation, , we weren’t moving, and without my doing a thing (as I thought), we were half passing at a fast trot across the arena. Just like that. She was that push button. I yelled “What is she doing?? ?” and my friend oh so helpfully and helplessly laughing, yelled back, ‘What did you ask her? ‘How the hell should I know???!!! I managed to get her stopped and fell more than jumped off and I never, ever got on a horse that perfectly trained again. Raven is trained to second level. He makes me earn every good ride. He’s about as highly trained a horse that I would ever want, and he’s just another good horse. He’s not famous. Nor am I. Thank god. This is what Liz was saying too, I think. We lust after these horses (and celebrities if we’re into that sort of thing) but we know it’ll never be reality. And then when the movie star marries HER! WHAT DOES HE SEE IN HER? or the equine superstar is given to a different rider, it’s a real kick in the teeth. Luckily for the movie star, we don’t get to see him & his new missus working together – or when we do, they’re both capable of putting on an act. But we see the horse and his new rider working on their relationship very publicly and we know it’s just not what it used to be. I’ve never ridden a GP horse. I would like to, some day. Maybe. I was in that position many moons ago, unfortunately not for myself but for a friend, the choice being a grade A s/j the other a young potential, I recommended the youngster for a few reasons, 1 I don’t think they teach you because with s/j’s you just point, go and stay on board, I’v ridden top dressage horses who when I put my leg where ever they did what they were supposed to do etc. etc so where do you learn HOW & WHY. 2. there is nothing more rewarding than for the two of you to grow together and 3. When is it not good to be offered more money for your horse than you invested day 1? Anyway my friend went for the youngster and never looked back, happy days. So to answer your question, even many years and aches and pains later I’d still go for the unmade horse but that is not to say that I wouldn’t take the money and have all my equine idols grazing away their retirement days in my blow your mind lush paddocks and yard!!!!!!! Hi Dee, this is one for a long chat over a bottle of wine, isn’t it! I don’t agree that you won’t learn from a well-schooled dressage horse. I’ve learned a ton from Aero, just because he knows what to do when the leg does THIS and the body does THAT, and I’ve learned (and am still learning) what correct movements feel like. Because of that, I’ve been able to teach Flurry. His shoulder in and haunches out are pretty good now and we’ve even attempted (SHHHH) a very teeny bit of slightly confused half pass (his canter still needs to improve before that’s going to go anywhere). I do agree that SJ is different. It doesn’t matter how you get over the jump so long as you leave it standing! Perhaps I would have managed Milton if he wore a head full of ironware and if I had a sh*tload of training… still dreamland though, methinks! But I love the idea of a field full of retired equestrian legends! Imagine giving Cruising a handful of carrots every day! I’m with you. What would I do with the best horse – endurance for me. I’d be intimidated. I’d be scared of speed. I’d be worried about footing even if the horse has thousands of successful miles on crazy footing. I’d feel like I wasn’t getting the horse out to do its best because I simply can’t afford to do that. I admire those animals, I lust after them in my own way, but presented with one…I don’t think I’d take the offer. There are just too many other things I need to learn, work on, and develop for myself before I would feel I could keep up with such an incredible creature. Interesting – you’re one of my ‘younger’ readers Liz. I was wondering would you youngsters (less than 40!!!!) have a different take on the subject, but apparently not! As a child I loved reading anything written by Pat Smythe and still remember her sadness when the owner sold Finality. Then their was Caroline Bradley who lost Tigre. Of course those consummate professionals went on to have other great horses but the horses that were taken away from them never quite reached their potential with their new riders. Some people, including some equestrians, just don’t seem to “get” that it’s a partnership, it takes years to build and can’t necessarily be replicated just because you can afford to purchase a top horse. Favourite horses,other than my own of course? Stroller, Desert Orchid & Blue Hors Matinee. Would I have taken them as a gift? Yes, yes, yes. Would I have competed? No, no, no. They would have stayed with their riders / trainers and I would have been happy to facilitate that. Ah no, Carol, that doting relative thinks you’ll be able to ride the horse and the deal is that you’ll compete him! I suppose you could take the horse and then fabricate an injury so that you won’t be able to ride him any more and he’ll have to go back to his original rider, with the doting relative paying the bills, of course! Okay, I think I would have to say my all time favorite horse was Big Ben ridden by Ian Miller. Would I have taken him if offered. No. I could never do him justice with the way he jumped. Ian Miller was my favorite trainer/rider…still is. They just fit together so well. I actually had a terrific Dutch Warmblood from Holland for 15 years and though we loved each other and did well together. I’d have to say he was much more talented than I was. But that was okay we still had fun. I just never let him read his papers to let him know what good blood lines he had. I enjoy riding my quarter horses now and training them. I’m not going to compete again so it’s more fun and less stress for all of us. That’s an interesting point too, Arlene, about having that horse who is ‘too good’ for his rider. Is the horse therefore ‘wasted’? One of our earliest liveries was a misshapen mare who had the most incredible jump I’ve ever seen. Not only that, but she LOVED to jump. She’s the only horse I ever saw who, when turned out in the jumping paddock, would occasionally pop over a standing obstacle! IMO, this horse could have jumped internationally and the Younger Me often thought she was wasted with her teenage owner, who jumped local novice and intermediate level classes. But then the Younger Me started the long (and still ongoing) process of seeing things from the horse’s side : this mare was happy, having loads of fun, with an owner she loved, who loved her right back. Would she have been happier as an international competition horse? I don’t think so. She’d have had a stressful life on the road and withe her conformation, she’d definitely have been injury prone. I’m happy to say she’s still with the same owner, living out her retirement. Yes I agree with you there Kayti. It’s a lot of fun making your own horse. Yes, the horse is talented and bfuetiaul but properly trained and relaxed is up for discussion (otherwise why would so many be wondering how long it will be before he’s no longer competing). If we were comparing this type of training to human athletes and a biomechanically correct approach I don’t think it would hold up (well Soviet era athletes might be comparable).Looking at the video I wonder what scores were given for the walk. The first gait to suffer from improper training. No. From what I hear Gem was … um … opinionated. Ditto other horses with the drive to make it to the top. Just b/c they can do it doesn’t mean thay will condesend to do it for me. Now, if that relative wanted to buy me the world’s best schoolmaster, I’d hitch up my trailer. I’m with you there, but I think that the younger Me would have said sure, yeah, of course I’ll be able to ride the best horse in the world! As to your ‘world’s best schoolmaster’ suggestion, hmm, how to define the world’s best schoolmaster? The easiest ‘point and shoot’ horse? The most tolerant horse who can get his rider out of trouble every time she makes a mistake? 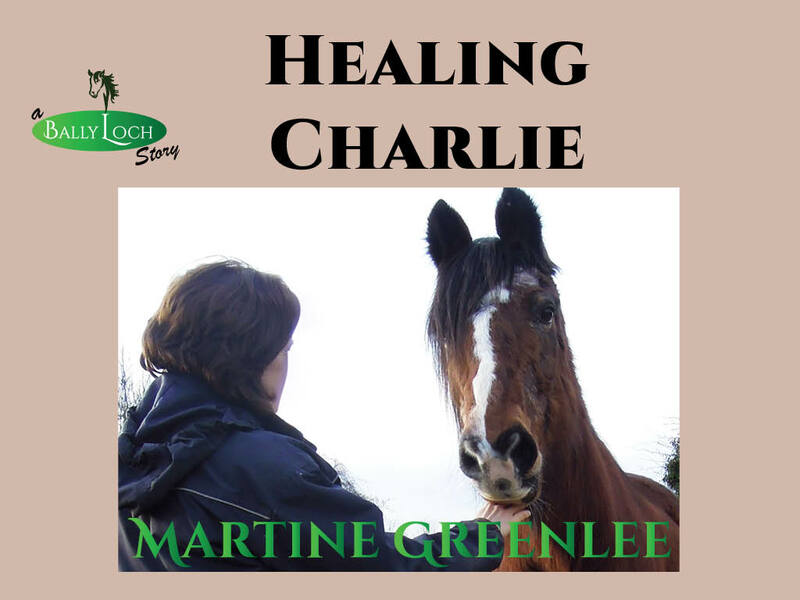 The forgiving horse who tries his heart out but maybe just isn’t good enough? The one who memorises the course while he watches you walking it ?